Did you know? More couples consider technology items appropriate for gift registries, according to a survey of brides and grooms commissioned by retailer Best Buy. 24 % of marriages are destination weddings. Average budget for a destination wedding is $28,000. 60% of destination couples pay for the wedding themselves. Average number of guests at a destination wedding: 48. 9 out of 10 couples say weather is a key factor in selecting a destination. Why register for china when you can register for a trip to China? Bride and groom can have their guests and benevolent friends and family make a “trip contribution,” which are funds that are transferred to the recipients by check or bank transfer. Or can register for a gift via a “resort credit,” which would be applied to the couple’s hotel account and can be used for anything that can be billed to a room while at the resort. Couples can request gifts toward a honeymoon stay or spa services and do so in small, separate increments, kind of like crowd-sourcing your getaway. Amazon Wedding Registry Sweepstakes now through May 31st, 2016. Customers who create a wedding registry and add at least one item from the Lenox product line to the registry during the sweepstakes period (April 1, 2016 - May 31, 2016) are entered for a chance to win a Honeymoon Getaway Package. Visit the sweepstakes page for more information and official rules. Wedding couples can register for many things, it does not have to be household items. The young newlyweds hopefully are planning to travel beyond just their honeymoon. Putting off traveling like the generations before have done, is not a great idea. As my grandpa stated a long time ago, go travel now while you can move around since if you wait until you are retired and have any health issues, there go your traveling plans. 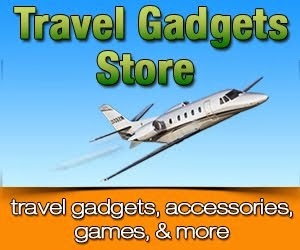 So get some travel gadgets for your wedding and go travel. You want to hear your new significant other, but tune out all the other noise around you when you are traveling. A great pair of noise-canceling headphones can do just that by filtering out the sound of engines and such, but keeping the music coming through clear. While your phone can serve as a music player, not all have enough storage to keep a full list for the trip and all the other stuff on it. So a dedicated MP3 player would be a great way to keep on jamming. All the gadgets that are coming along for the honeymoon or destination wedding need to be ready and fully charged to not miss a bit. Using the streaming devices you can not only watch Netflix and Amazon Prime while traveling, but you can also share pictures to the group and stream music. To share your tunes with the wedding party on the go, wireless speakers easily sync up with Bluetooth on your phone or MP3 player to transmit the sound out loud. If you want to share your wedding day with friends and family after the big day is done and you are back in town, adding photos and videos to a USB stick along with a thank you note is a great way to share and preserve memories. Keep a journal. This way you will remember all of the activities, romance, and funny moments during your trip. The main event and the trip after is going to be a whirlwind. This will also help you replay your honeymoon stories when you return. Take photos. This is a likely a given that you will be taking a lot of shots on your travels. Photos of the two of you enjoying the activities your guests purchased from your honeymoon registry can be included in your thank you note or message that you going to put on a USB. If you are traveling internationally and plan to call home, set-up a Skype account so your calls are inexpensive or free if you are calling another Skype account. All you need is a Wi-Fi connection. Slip an easily compressed duffle bag into your suitcase. 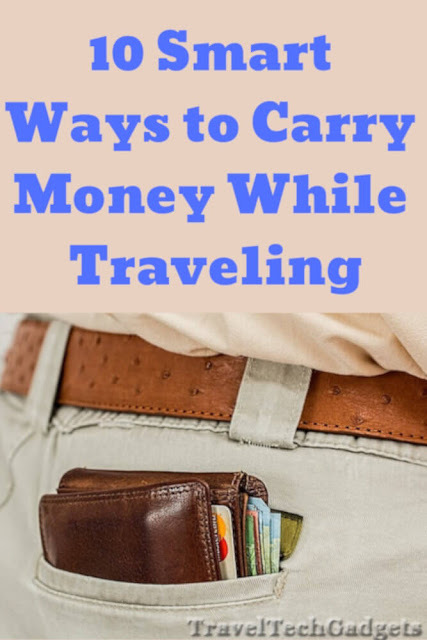 If you learn your luggage is too heavy when you are are the airport, or have too many gifts and souvenirs from the trip, you can quickly repack and avoid extra fees. Want to make your significant other not forget your wedding anniversary? Ever! There is a ring for that. The Remember Ring™ utilizes patent pending Hot Spot™ technology to deliver a reminder. 24 hours before your special day, the thermal spot on the interior surface of your Remember Ring™ will warm to 120º F for approximately 10 seconds, and continue to warm up every hour, on the hour, all day long. It would be hard to ignore. It is very likely that the destination for the wedding is warm and sunny one. A pair of nice sunglasses would be a great gift as it is functional and can be used during and after the trip. Another essential in a sunny destination is the sunscreen. The guests, and the couple, need to be in good condition, with no sunburned skin, and ready for the wedding. Travel sized containers filled with SPF 30 sunscreen are compact inexpensive and will protect your guests from the harmful rays of the sun. Water bottles are great option as they can be customized for the wedding couple and be useful during and after to keep guests hydrated. It would especially be a great idea if the destination wedding includes some local activities for the wedding party. These are also easily customizable and useful for the duration of the trip as well as after the wedding. What do most wedding guests like the most? Eating, dancing, and drinking. Not necessarily in this order. 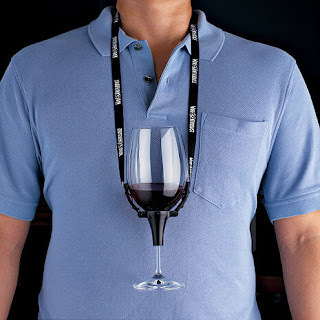 Someone came up with a hands-free option for keeping your wine or champagne glass on you at all times. With Wine Glass Holder Necklace you have hands free to keep eating, or talking with loud gestures, or if adventurous enough, dancing. 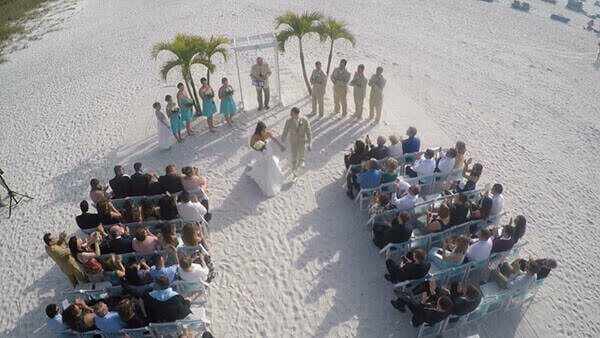 To get a different view of your destination wedding, beyond just ladders, hire a drone videographer. Aerial wedding videography would make for some great scenes of the surroundings, the full view of the ceremony, and layout of the party. Fotio is a photo booth without the photo booth. If a clunky box and curtain at your wedding isn't your thing, Fotio provides a vintage alternative to a traditional photo booth, and it can be easily moved throughout the wedding. Chicago-based Fotio takes stunning photos and sends all the images to to an online gallery so you don't have to worry about carrying around printed pictures. Got out-of-town friends and family that can't make the wedding? You can broadcast the ceremony and reception with I Do Stream, a live-streaming wedding service that will capture your big day in real-time. A videographer can come onsite and perform the broadcast for you, the company can send you the equipment to do the live-stream on your own. www.socialweddingwall.com Want to see your guests' photos and messages as the wedding is taking place? Wedding Wall is a real-time, visible social media feed that runs throughout your reception. All you need is a TV or projector, and Wedding Wall grabs all the images posted to social media websites with your specific hashtag and displays them during the reception. A GoPro is a must-have for when the dinner ends and the party begins. You can put it virtually anywhere. These easy to use, lightweight cameras can be worn by the best man, carried on a selfie stick, taken onto the wedding dance floor, secured onto a liquor bottle and much more.